2014 Long Beach, 229pp, photos, maps, 6x9, hardcover. 1st edn. limited to 1,000 signed, numbered, & slipcased copies. Those who have read Months of the Sun know that Ian Nyschens's life is one of the most incredible stories ever recorded in the history of African elephant and ivory hunting. It is fair to say that no man since World War II has had a more compelling tale. Since the publication of his first book, numerous people who knew Ian have told us that not all of his incredible adventures were written up in Months of the Sun. The fact is that almost as soon as his first book came out, Ian started working on the sequel. This second tome gives us insights into the "end game" on some of the most interesting but unfinished stories of Ian's previous book. We learn what happened to Faanie Jooste and to Ian's wife, and we also finally figure out what transpired when he was arrested in Mozambique. We also learn all the details of Ian's arrest in Zambia, and we picture in our minds Ian's furious revenge when his tracker was abused by the police. All the stories are illustrated with previously unused authentic photos of and by the author. Some of the new and fresh hunts include: his time with Faanie Jooste when they find themselves in a region infested with snakes and cantankerous elephants. This is vintage Nyschens at his best. Then there is an entire section of the book on the Big Five and their merits. Another episode shows Ian going up against a croc that he not only loathed but also respected. Another chapter deals with hippo hunting from boats, and then there is a story on how to deal with people who spy on you! Fair to say it was best not to have Ian as an enemy. A good deal of the book is devoted to Ian's final field days in the Rhodesian game department where he was obviously a round peg in a square hole. Finally, and most insightfully of all, Ian's daughter gives us a very thorough look into who Ian was and what made him tick and how he dealt with people from all walks of life. The word eccentric comes to mind. Just read Ian's encounter with a beggar on a street, and you'll understand why we say he's eccentric. Ian's sequel was initially published right before Ian's death, but the print run was very small. Luckily Ian had given the complete manuscript materials to his daughter in South Africa, and she brought it to us after reorganizing the text and adding her own very perceptive insights. If you liked Months of the Sun, you'll love Footsteps of an Ivory Hunter, the last book from the man who surely was the greatest ivory poacher of the twentieth century. 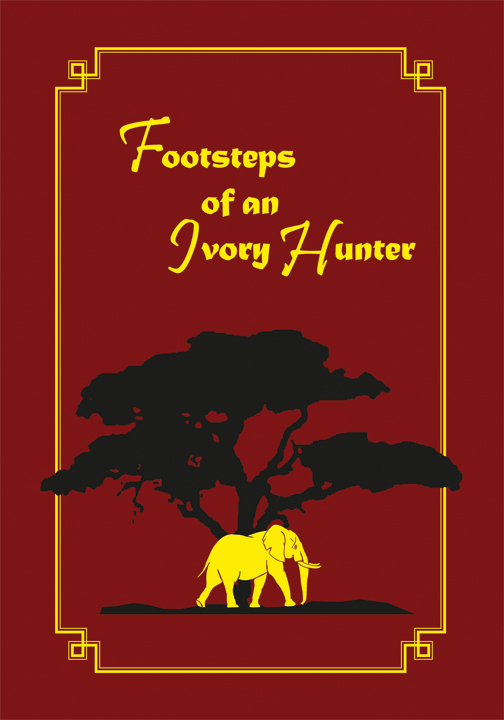 Submit your review for "Footsteps of an Ivory Hunter (Ltd)"